Beloved and I had a second dinner at Hanuri a few weeks ago. Yes, you read that right, and if you’re curious as to why, find out in a later blog. Anyway, our stomachs weren’t satisfied although we already had pleased palates, so we weren’t very picky. It was already a bit late at night, so our choices were limited even though we were at the foodie haven of the Tomas Morato area. We noticed the sudden influx of Korean restaurants at the McDonald’s side, and one of them happen to be open for 24 hours. 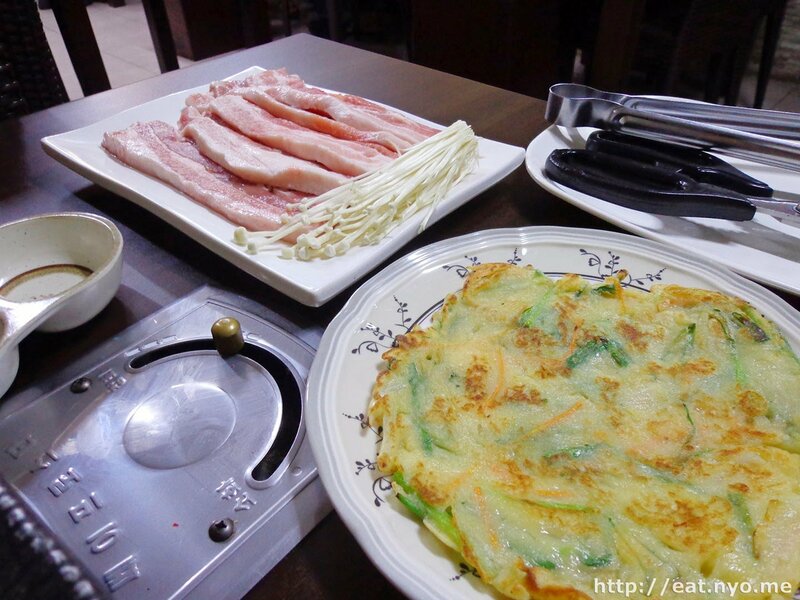 Since we know that most modern Korean restos are generally generous with their servings. 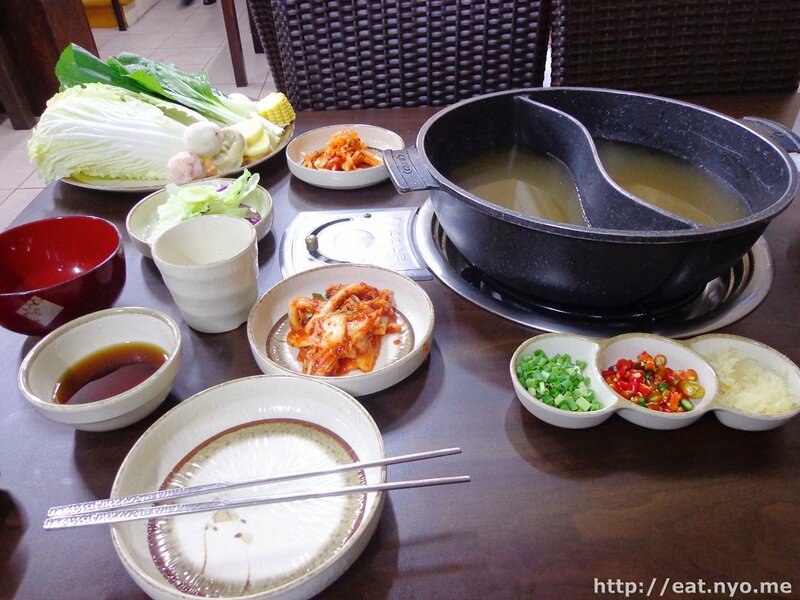 Since we needed nourishment more than something to tickle our palates; not that Korean food is bad, I just find it monotonous in flavor—either spicy or sweet. We found that their menu is relatively more pricey than the place I consider to be the best value Korean resto. It’s still quite competitive against something like Kogi Bulgogi. One unique item in their menu, which is what we ordered, was their Shabu Shabu (390 Php), which, according to the menu, was good for two. 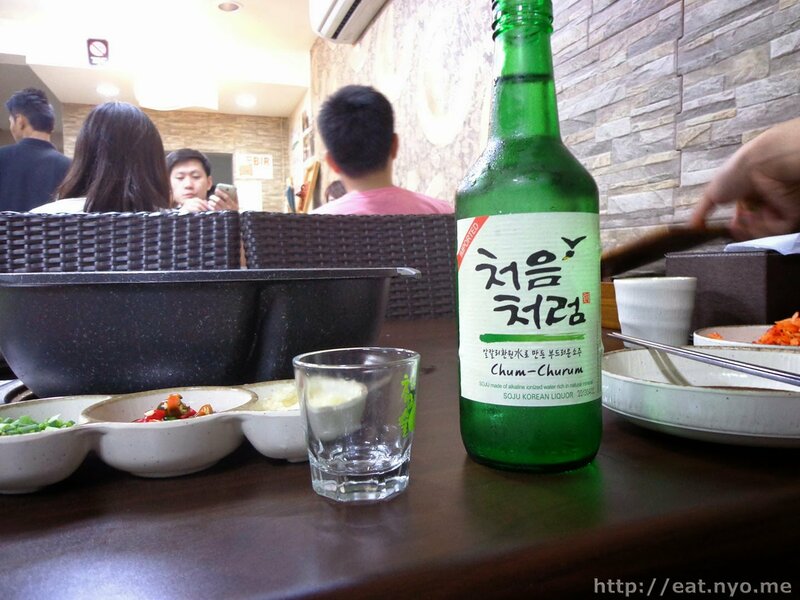 We also ordered a bottle of Soju (150php) for the heck of it. We were already sort of used with the large amount of banchan that’s basically a staple in any good non-fastfood Korean restaurant. The yin-yang styled pot with broth was also reminiscent of Ganso Shabuway’s approach, except the broth they poured inside was same. The banchan included the classic kimchi, a radish kimchi dish, and a sweet salad. They also brought us a plate of Korean pancake. Nothing exceptional but certainly nothing bad. And the Soju. ‘Nuff said. Finally, they brought the meat for the Shabu Shabu. They were thinly sliced fatty beef which I usually have pleasant experiences with. They brought a plate of the veggies, consisting of cabbage, petchay, potatoes, and corn. It also had two kinds of balls, one lobster and one squid, and a dumpling of some sort. Unlike the meat which were sliced thinly, the veggies were fresh from the stem. Luckily, they provided kitchen shears to cut it into bite sized pieces. Finally, they had a mildly sour sauce for dipping. The meat didn’t take long to cook. Unfortunately, we didn’t have the chance to take pictures because we had to eat it after a few seconds of cooking in the boiling broth. It’s not bad, I must say. It’s not exceptional like the meat in Ganso, but the thin slices helped make the meat very satisfying despite being obviously frozen and not having distinct marbling or a nice deep red color. The amount of fat in each slice helped a lot too. The broth wasn’t that bad too. It was quite mild and soothing, definitely nourishing, especially once you cook the veggies in it. We had a very nice post-dinner and it certainly satisfied our stomachs. We made a decision to go back and try out their other stuff. A few weeks later, opportunity presented itself where we went ahead and ordered their Samgyupsal (270 Php, minimum of 2 orders). The choice of veggies changed for our order of choice. Instead of cabbage and petchay, we were presented with lettuce for wrapping our meat in and garlic, onions, and a large green chili for grilling. The banchan remained the same. 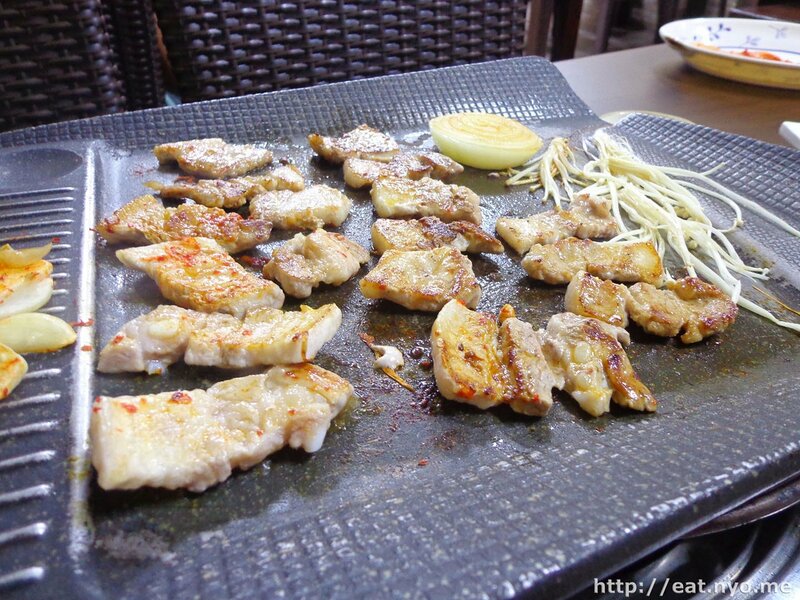 The Samgyupsal pork belly arrived in entire strips, again with kitchen sheers to cut it up. For the usual rice-loving norm, I guess this is two orders, but I personally expected more, especially when comparing it to the best value samgyupsal buffet I know of. I guess one up on this is the inclusion of enoki mushrooms and kimchi for grilling. There’s nothing on their end with regards to cooking that could help. Since I’ve had plenty of grill-on-top-of-your-table experience, it was all good. I also enjoyed the fact that the grill was slightly slanted so that the fats flows freely down to a container to catch it. The food was good, but there’s little part in service aside from the preparation, which isn’t even complete, leaving the slicing, or, more appropriately, the cutting to the customer which I actually liked so that we could measure appropraitely. 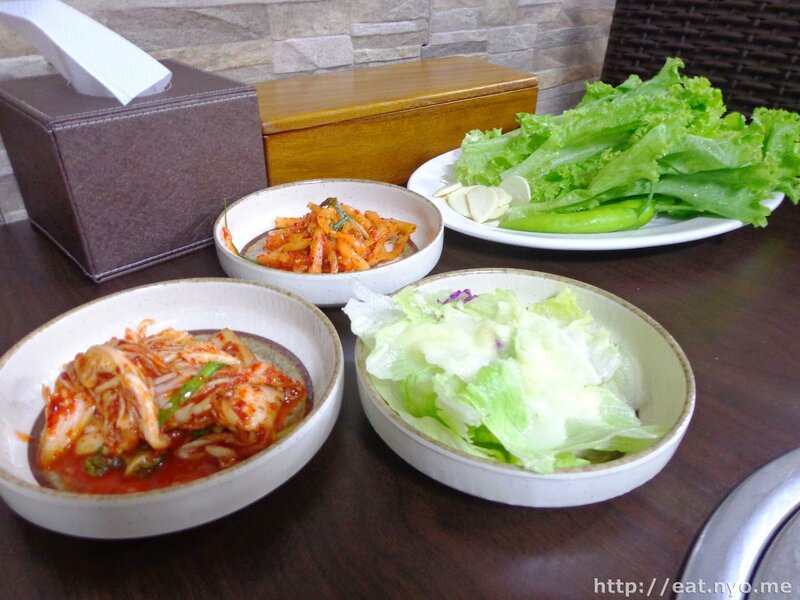 The amount of banchan they served was passable, but we’ve been to places which serves more. Overall, we liked it. We didn’t enjoy the samgyupsal as much as we did the shabu shabu. I guess I’m just used to being spoiled having unlimited meat when I order samgyupsal. Not that I asked if it was unlimited, I just assumed it wasn’t. Maybe I should have? Still, I prefer the shabu shabu, which I’m certain wasn’t unlimited anything, which was why I made that assumption with the samgyupsal. Anyway, one upside is Hanuri is open 24 hours, so we have an additional place to go when we’re craving very late night or very early morning Korean. 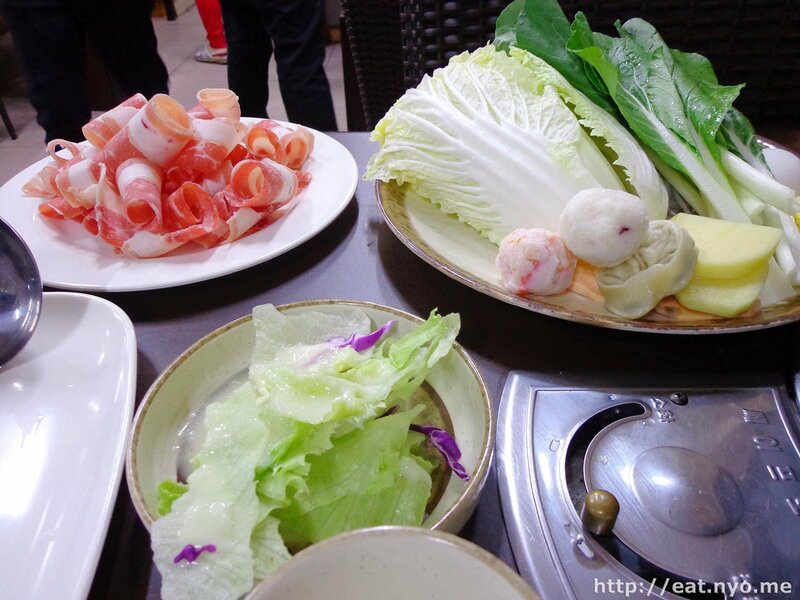 Recommended for: Shabu Shabu, early morning or late night Korean food lovers. Not recommended for: Korean food haters, those expecting cooked stuff. Smart nomnomnom tip: Drink moderately and at a slow pace, especially with Soju.